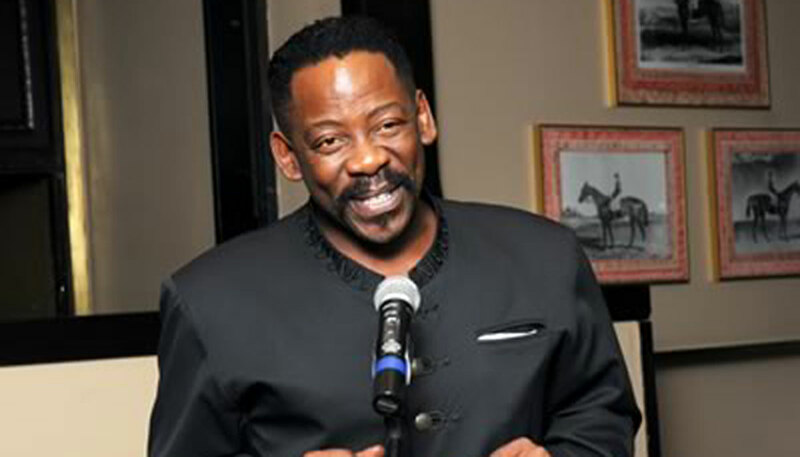 Activist, Filmmaker, TV-personality, businessman and son of the late Oliver Tambo. Dali Tambo is the son of the late former ANC President Oliver Tambo and his wife Adelaide Tambo, He has two sisters, Nomathemba and Tselane Tambo. When Tambo was a baby, his parents were exiled. He arrived in England on 15 September 1960 with his mother. Tambo attended Lancing College in West Sussex in the United Kingdom, and later went on to study at the American University of Paris where he acquired a Bachelor of Arts in Political Science and International Affairs in 1981. In 1983, he along with musician Jerry Dammers founded an anti-apartheid organisation called Artists Against Apartheid, which organised numerous concerts in Europe during the 1980’s in protest against the inhuman injustices happening in Apartheid South Africa. The idea was to popularise the liberation struggle and attract the youth, as opposed to “walking around waving placards” said Tambo in an interview with the Mail and Guardian. They began Artists Against Apartheid, around the same time the Artists United Against Apartheid was founded in the United States by Little Steven (Steven van Zandt). Part of the organisation’s initiatives was to encourage international artists to adhere to a cultural boycott of South Africa, which meant no performances nor the selling their music there. The organisation held a Freedom Festival in Clapham Common in London where more than 100 000 people marched to the Common. People joined the march and the crowd multiplied to over 250 000 as more came to hear leaders of the ANC, Swapo and other anti-apartheid activist groups speak. Dali Tambo was very influential in the initiative of the 46664 Nelson Mandela concerts which first began at Wembley Stadium in 1988. The world came out to celebrate his 70th birthday while Mandela was still behind bars. The 46664 concerts were very influential in popularising the struggle against apartheid. Tambo returned to South Africa in 1990 after 30 years in exile. Upon his return he launched Southern Streams Productions which produced his first television show, Night Moves, that aired on M-Net (a pay-channel that later evolved in DSTV the satellite service). He was able to apply the skills and knowledge he had acquired in the UK, having worked on numerous production sets, into launching his production and TV career in South Africa. One such production was Richard Attenborough’s Cry Freedom (1987). Night Moves revolutionised the talkshow TV genre in South Africa. He later moved to the South African Broadcasting Corporation (SABC) where he would also produce and host the popular show People of the South, which was a talk show that focused on celebrating the lives of different personalities; from politicians, activists, artists, entertainers and international icons from the Southern hemisphere. It was created to promote a sense of national identity and pride by reflecting on their achievements and acclamations. The show ran for eight-and-a-half uninterrupted years and in 2012 it was revived by SABC3, with one of the episodes causing a stir with the public when Tambo interviewed Zimbabwean President Robert Mugabe. The controversy began when CapeTalk567 radio host Kieno Kammies expressed his disappointment in the June 2nd episode, calling it a PR exercise in preparation for the Zimbabwean elections which were to be held in the next two months. In an Interview with Tambo he asked him why he had not addressed pressing political issues such as the land grabs, human rights violations and political rights violations that Zimbabwe had suffered under Mugabe’s rule, to which Tambo responded that he was not a politician and his show did not focus on politics but instead looked at the personalities and lives of the guests. A journalist from the Mail & Guardian accused Tambo of not expressing the same “accusatory” tone he had in questioning the former Democratic Alliance Leader Helen Zille, and said his approach was more sycophantic and fawning instead. Dali Tambo has always had a strong interest in the promotion of South Africa’s cultural, heritage and tourism industries. One of his current projects, which is considered to be one of South Africa’s biggest cultural heritage initiatives, is the National Heritage Monument. The National Heritage Monument, which is based at the Groenkloof Nature Reserve in Pretoria, was conceptualised and began in 2010 by Tambo who is also the CEO of the National Monument Company. It is projected to feature over 500 bronze life-sized statues of post-colonial, colonial and anti-apartheid struggle heroes and heroines. On 15 September 2015, 50 statues had already been completed and were unveiled by the then Minister of Arts and Culture, Nathi Mthethwa. Among them were statues of Nelson Mandela, Walter and Albertina Sisulu, Charlotte Maxeke, Yusuf Dadoo and King Mzilikazi Khumalo. Once completed the site will be known as The Long Walk to Freedom and is expected to become a major tourist attraction as well as an educational center. People from all over the world are expected to visit the site in search for knowledge about South African leaders and history. Tambo is also the founder and executive officer of Koketso Growth which is a company that hosts projects that specifically focus on heritage arts and culture. The organisation headed the building of the 9 meter Mandela Statue at the Union Buildings in Pretoria as well as the Mandela Bust at the Parliament buildings in Cape Town. Tambo has a long list of business accolades and titles and continues to contribute to the historical landscape of our culturally rich country. He is married to Rachel Tambo, together they have four children, the eldest is named after the late Oliver Tambo. Kwepile, Sina.46664:Mandela the International Music Industry Celebrates Madiba’s 90th Birthday, Accessed: 3 Feb 2017, URL:https://www.moshito.co.za/46664-mandela-the-international-music-industry-celebrates-madibas-90th-birthday/Pillay, Verashni. "Why Dali Tambo's Robert Mugabe interview was just PR". Mail & Guardian. 4 June 2014. Accessed:20 Feb 2017. URL:https://mg.co.za/article/2013-06-03-why-dali-tambos-robert-mugabe-interview-was-wrongRachel,Daniel. Walls Come Tumbling Down:The Music and Politics of Rock Against Racism, 2 Tone and Red Wedge. Pan Macmilan:2016.“Dali Tambo,“ koketso.co.za, Accessed: 3 Feb 2017,URL:https://www.koketso.co.za/key-personnel/dali-tambo/"Dali Tambo hits back after Mugabe interview criticism". City Press. 3 June 2013. Accessed: 20 Feb 2017.